After teasing for months, Apple launched its flagship operating system, iOS 8, on Wednesday and it is being analyzed as the biggest iOS release ever. Apple’s much-anticipated operating is compatible with the iPhone 4S, 5, 5c and 5S, the iPad 2, the iPad Air, the iPad mini and iPod touch 5th generation. Newly launched iPhone 6 and iPhone 6 Plus aslo come pre-loaded with it. The updated operating system has been revamped with health app, photo-editing software and the ability to turn-off group text messages. People using iPhone 4S, 5, 5C or 5S, iPad Mini iPad Air, iPad 2, including the touch iPod 5th-generation, can download it from the App Store. It is without any doubt that the iPhone has an iconic camera; the iOS 8 comes pre-loaded with advanced features to help user achieve an extraordinary level in photographs. Photographers can adjust the exposure, brightness, contrast, colours of their clicks and also have the freedom to straighten the crooked images. New instagrams like filters to its camera application are an add-on. The new iOS will be able to learn the text-ing habits of the user. It will automatically predict words and phrases that have been used in past conversations. It is being said that the smart keyboard or so called mind-reading keyboard will be opened to third party developers, which will allow the user to choose among thousands of keyboards that suits the style. 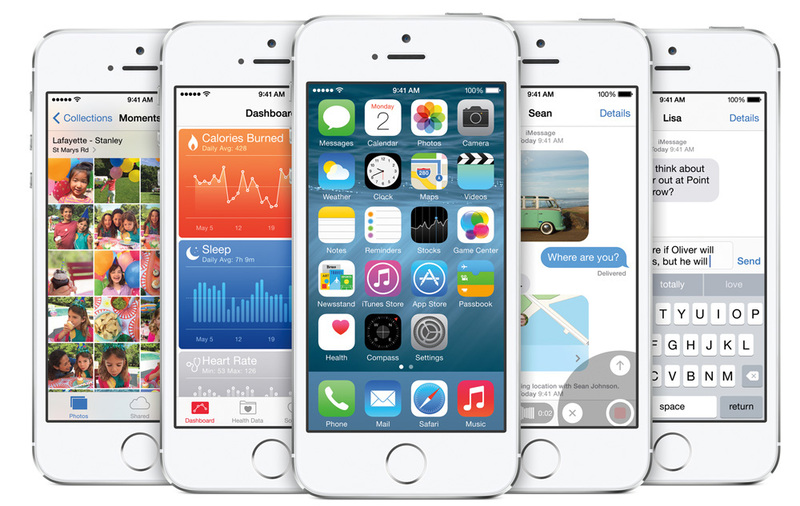 Apple iOS 8 now allows you to mute, block or even delete the annoying groups. However, it is also providing options to revert it back. One of the best feature of the Apple iOS 8, is the Health app, it allows an individual to track the daily physical workout activities such as climbing stairs, or walking. It takes the full advantage of the low power M co-processor installed in the devices. Other than this, it also has other exciting features such as ‘Family,’ that allows an individual to have one account for its kids, and the other family members. The guardian will be made aware of the purchases kids are making via the App Store.